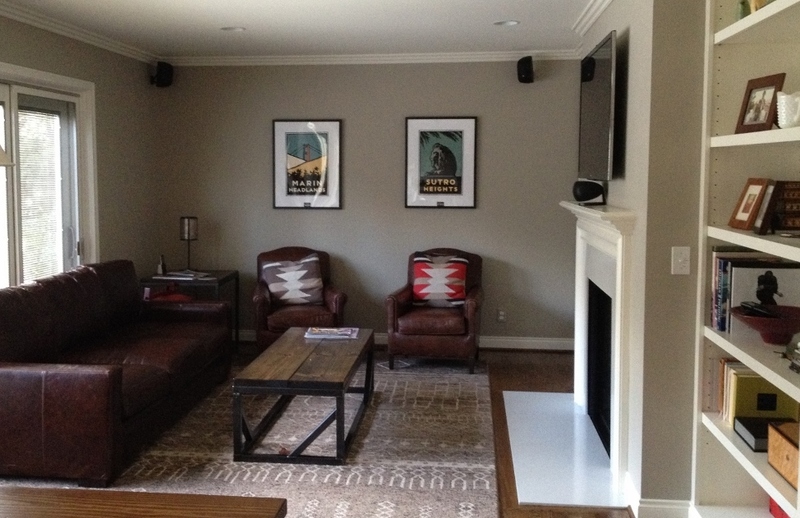 1) We finally put some artwork up in the family room. What a big difference! The SF prints were hanging in my husband’s basement office, but he kindly gave them up for the good of the house. They look much better proportioned in real life (they look weirdly small in the photo for some reason). 2) “That was my favorite squirrel” – our youngest, looking out the window at the dead squirrel in front of our house. As the days went by it got more and more squished (“ooh I see blood” and more “my favorite squirrel” language) so I decided to call the city to see if they would scrape it up. Me: Hi. I’m new here and I’m not sure if you do this sort of thing but…there’s a dead squirrel on the street in front of our house and it’s freaking our kids out. Could you come pick it up or how does that work? 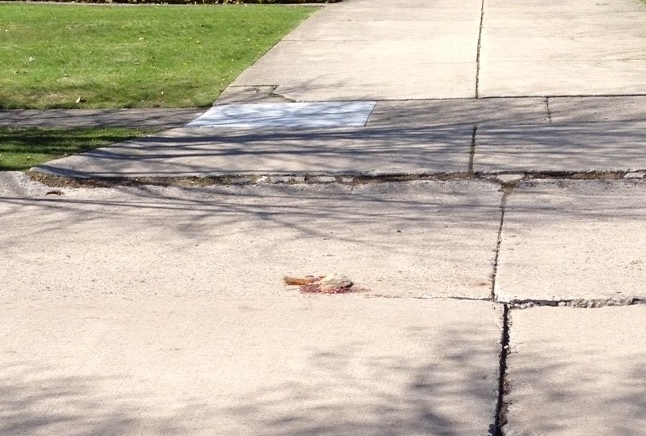 City Worker: Now, where is the squirrel, in the middle of the street? Me: Umm, pretty much in the middle of the street, yes. City Worker: And you say it’s in front of your house? Is it right in front? Me: Yup, right in front of our driveway, I would say. City Worker: Okay, can I get your phone number, in case there are any questions? Me: About the squirrel?! Umm, sure. Can’t fault her for being thorough. 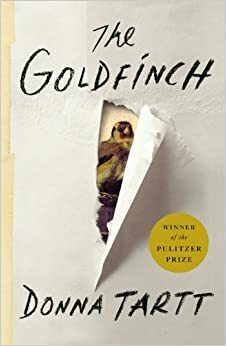 3) My sister bought me Pulitzer Prize-winning “The Goldfinch” for Christmas, which I finished this month. Not once during the 784 pages did I feel like it was tedious or dragging. Do yourself a favor and put it on your summer reading list (I almost wish I had saved it for a summer read). You will thank me. 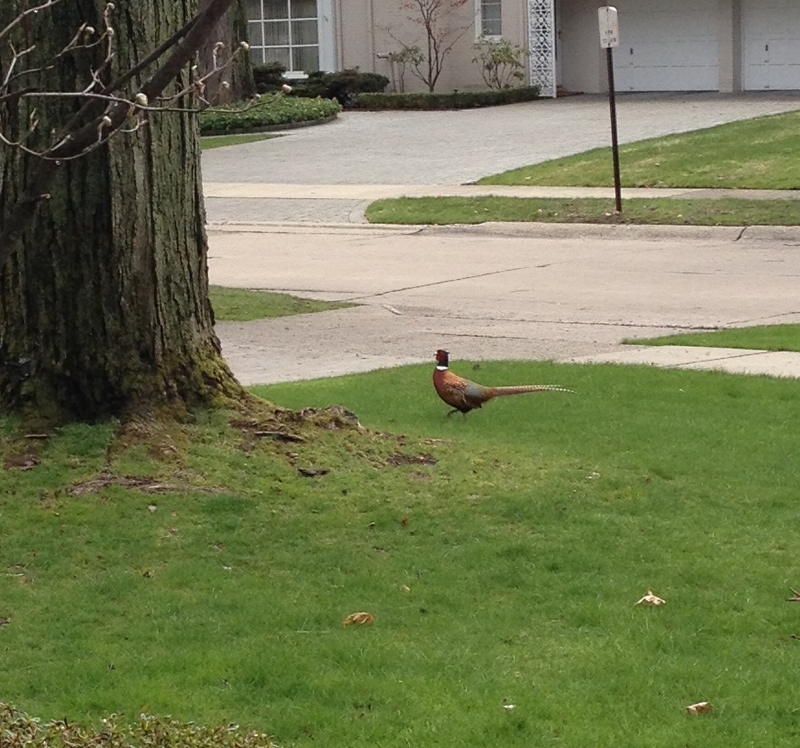 5) I finally got a shot of the elusive pheasant! 6) April 4th marked the one-year anniversary of our move. I went for a run that day and thought about everything that’s happened since we arrived. New house, new remodel, new school, new routines, new weather, new friends. I miss San Francisco more than I can express, but I’m also happy here. I haven’t thought too much more about it, but I will reflect on it more and when I do, I will report back. Me: Can’t I just stand in front of a hospital and eat some shrimp? That would be a lot faster, and more convenient. Me: Don’t worry, I won’t sue you or anything. 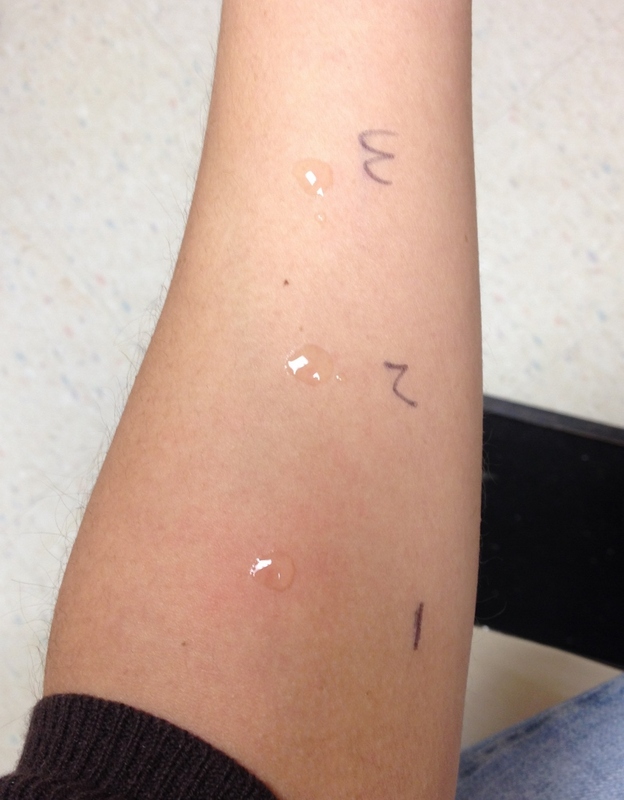 Allergist (concerned): Just make the appointment, okay? I walked out of the office without making an appointment. Two days later, I ate an a-load of shrimp at a party. I’m good. 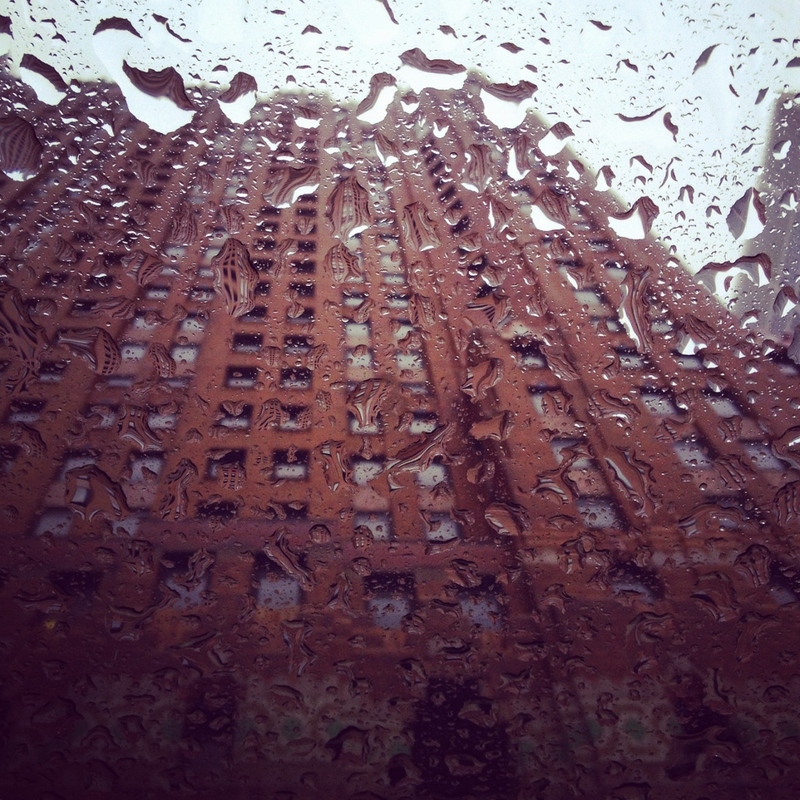 8) April showers bring May flowers. That’s great and all, but the cold! Enough already. April was full of cold, cloudy days and even some snow. We did get a couple days of sun and warm, giving us a sneak peak of what’s to come. I can’t wait. 9) Speaking of flowers, I walked outside one afternoon to a beautiful surprise. A blossoming tree in our backyard. 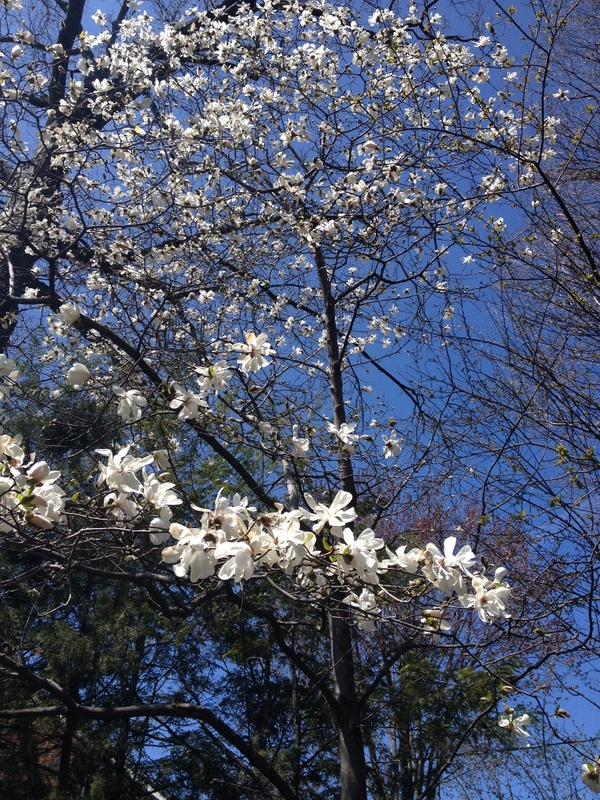 I don’t know what kind of tree it is, but the flowers are fluffy and big, similar to magnolia blossoms. So pretty! 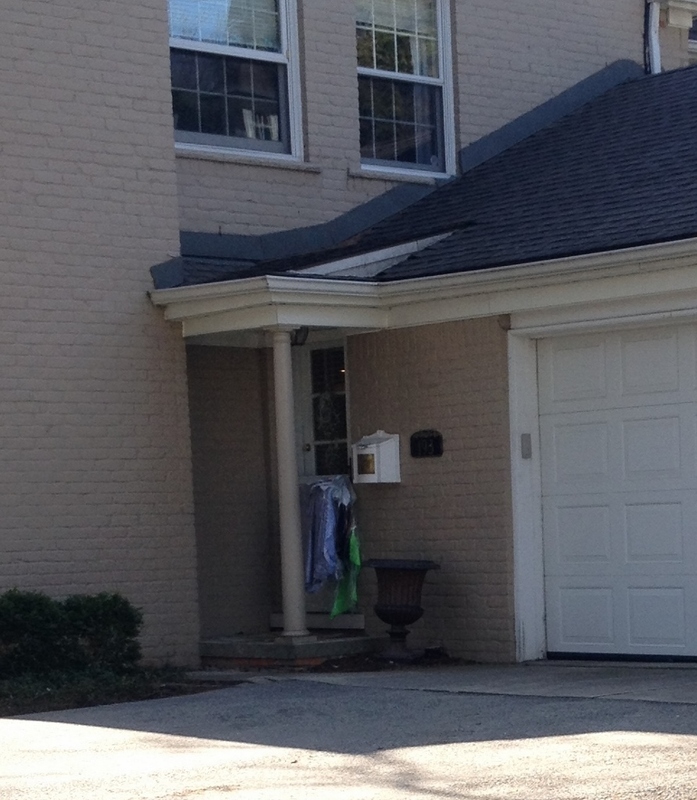 10) Something you would never see in San Francisco – dry cleaning hanging on a door. One, because I can’t think of any dry cleaner there that delivers and two, because it would be gone in two seconds. Especially if you live near Golden Gate Park like we did. 11) The Grosse Pointe library system lends out gardening tools. How cool is that? They also have a seed library, where you can search a physical card catalog (containing seed packets instead of cards) and “borrow” seeds to plant. Residents are also encouraged to save and donate their seeds to the collection. I plan to use both. 12) I have one more month before school is out, which means I can say goodbye to daytime “me” time. I hope to get a sitter a couple times a week so I can work (oh yes, I do have a day job doing payroll for my husband’s company), but also so I can have some down time. Summer will be fun, I know that, but sometimes a girl (especially an INFJ girl like me) needs her space. Can I get an amen. 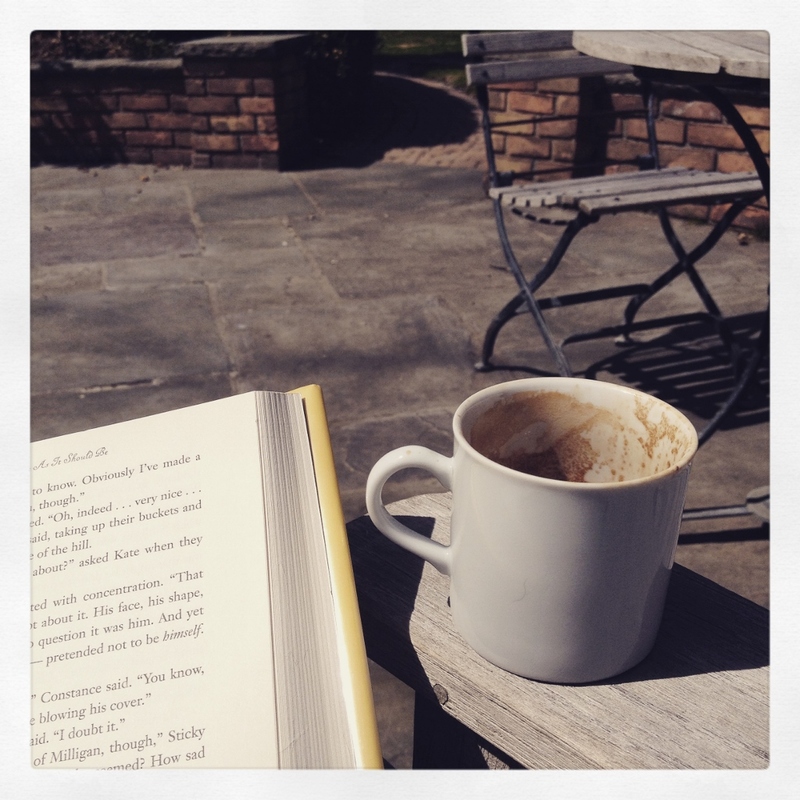 This entry was posted in Family, Fun, Grosse Pointe, Other, Small Town Living and tagged 2015, April, Books, Grosse Pointe, Humor, Michigan, Small Town Living, Spring, The List. Bookmark the permalink. I love the gardening tools & that is a great book! I’m an INFJ too :) Any Summer camps there? And do you have to register in February like we do in SF? So crazy. No way! There aren’t many of us, apparently. Haha. Not that early, but early enough. I need to figure it out. A lot of them start too early in the morning! I want to be lazy and get up slowly, at the very least.